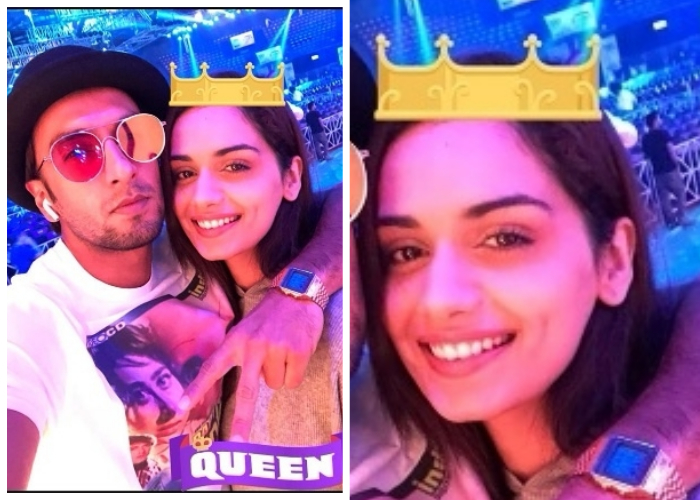 Ranveer Singh and Manushi Chillar's selfie is getting viral on the internet! Last night’s gala Filmfare Awards 2018 is making all the headlines today. Bollywood’s renowned faces graced the red carpet and put their best fashion foot forward. In fact, Padmaavat actor Ranveer Singh’s red carpet outfit will be remembered for the years to come. Of course, how many times you see a Bollywood superstar wearing a colourful quirky suit to a coveted award ceremony? Another celebrity that stole the limelight was none other than our dimply beauty Miss World 2017 Manushi Chillar. In a scarlet red gown, Miss Chillar exuded charm with every inch of hers. And when these two extraordinary personalities come together, ‘ek viral selfie to banti hai’. 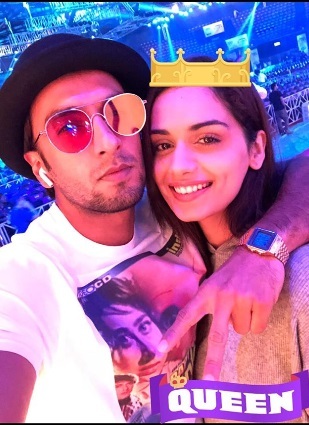 We have got our hands on this really pretty picture of Ranveer Singh with Manushi Chillar. The actor shared this selfie on his Instagram story with a caption ‘Queen’. Surely, Manushi is looking like a queen in that red carpet attire. 63rd Jio Filmfare Awards took place in Mumbai at NSCI, Worli. Shah Rukh Khan and Karan Johar hosted the glitzy ceremony and entertained the crowd. Manushi Chillar even shared the stage with King Khan. Ranveer Singh, on the other hand, paid tribute to veteran singer Bappi Lahiri by performing on his chartbuster tracks. Also, Filmfare 2018 will mark the debut of Miss World 2017 Manushi Chillar. Vidya Balan bagged the Filmfare Award for Best Actor in Leading Role (Female) for Tumhari Sulu and Irrfan Khan won the award for Best Actor in Leading Role (Male) for Hindi Medium. For the entire winner list, follow the link given below.